Buddy Guy’s album The Blues Is Alive and Well is the latest triumph in his already-legendary career. With his signature sound, the Grammy-winning artist will bring the album’s singles “Bad Day” and “Somebody Up There” along with career hits that span over 50 years. 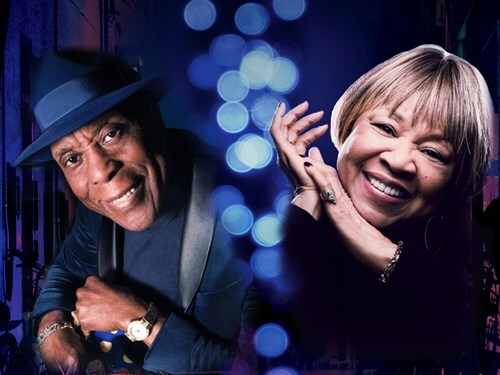 Mavis Staples first began singing with her family in 1948, moving over time from the gospel circuit to radio and eventually even to stadium shows, collecting a No. 1 hit along the way and adding almost every musical genre to her repertoire. She has performed with Bob Dylan, Booker T., Ray Charles and many other music icons.